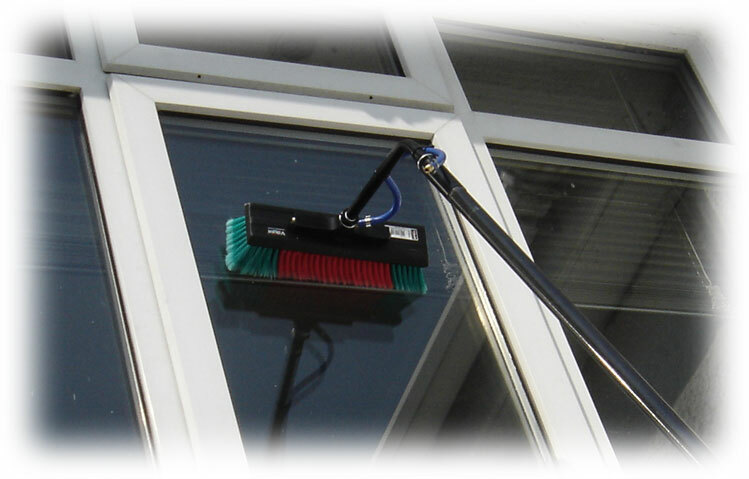 New!Water Fed Pole Systems are designed to make the cleaning of windows both easier and safer. With extenable reach poles this new system is suitable for most buildings. Safty in the workplace is always important especially when you are relying on equipment. The Quick reach water fed poles not only eliminate the amount of equipment you need which you may save in costs but the most important they are a safer way to wash and clean your windows without the trouble of getting up and down of a ladder. Our Quickreach poles are Made from lightweight Fibreglass which makes these cleaning tools safe on windows rather than a set of ladders and in cold weather conditions the material is not too cold to hold.